Zombies seem to be everywhere nowadays and they have come far from the lumbering undead in the 1936 film REVOLT OF THE ZOMBIES. Starting off with credits that will bring to mind THE WALKING DEAD we are soon introduced to the character in this episode. After spending 60 days alone in a bunker he decides that he can't handle the loneliness any more and suits up in protective clothes to face the zombies outside. Out on his freedom from the bunker he is attacked by zombies and he makes short work of them with his trusty gun. After he kills the zombie hordes he comes across two guys fighting and the episode blacks out and we hear a gun shot. Who got shot? 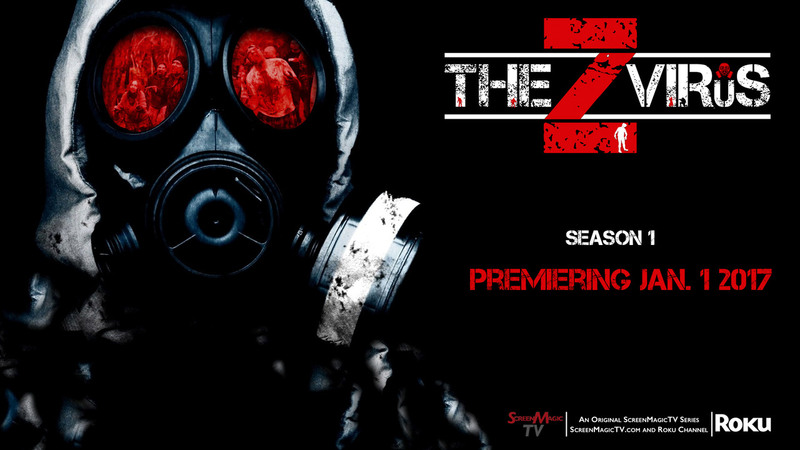 Only way to find out is to continue watching THE Z VIRUS. There is some nice gore about half way through which is maybe signs of things to come in future episodes. It will be interesting to see where this show heads with its storyline and characters as it has alot of competition out there with other zombies shows. Running at just 9 minutes long you will find time to squeeze this into your daily routine and it will satisfy your hunger for zombie goodness. 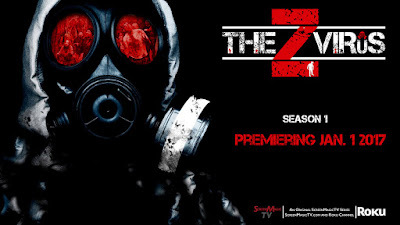 THE Z VIRUS: EPISODE 2: UNINVITED GUESTS review here.